These guys aren’t the most frightening felt covered friends in the world, let’s be honest. But their fans love them and there really is no need for a “redesign”. 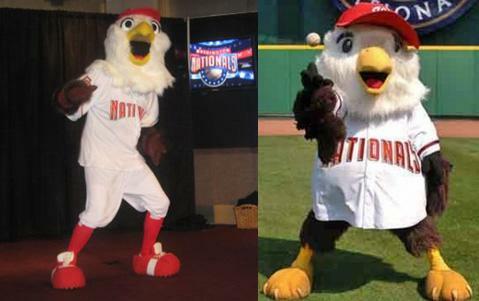 I think the old Screech the Eagle got the job done and every child who went to a Nationals game slept well that night. Though now looking at it, the new Screech the Eagle does scare the crap out of me, but in a more “deranged chicken who just found out what you do with her eggs” sort of way. And I don’t think that’s the direction the Nats really were looking to go. If I was a girl how would I pick the winner of Sunday’s Games? The Mascot is any person, animal, or object that is thought to bring luck (your lucky beer cup is your own personal mascot). This also includes anything used to represent a group with a common identity. We need something that says we’re gay, and Republican. During a game, have you ever noticed how excited your female companions get when they notice the mascot on the field? Of course, this pales in comparison to the mascot being close enough to touch said female. 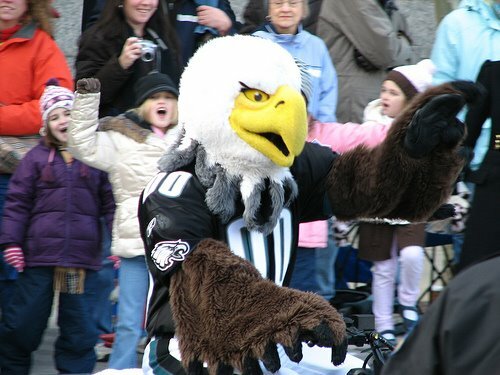 The point of all of this is to pick the games this Sunday solely based on the best/cutest/less repulsive mascot. First we will start with the NFC game. 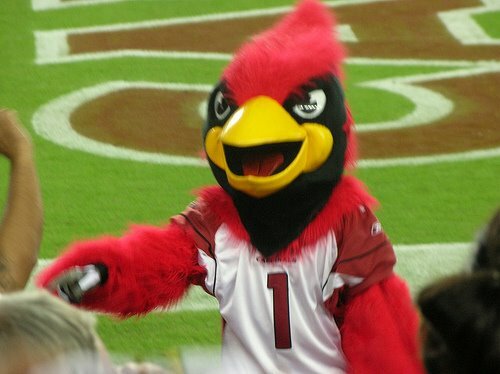 First of all the Cardinals Mascot is Big Red. It’s a chewing gum, not a mascot. It doesn’t instill fear. However, Big Red might be cuter and less menacing looking than swoop and he is red. Chicks dig red more than green and black. So, I think the edge has to go to the Cardinal looking thing here. 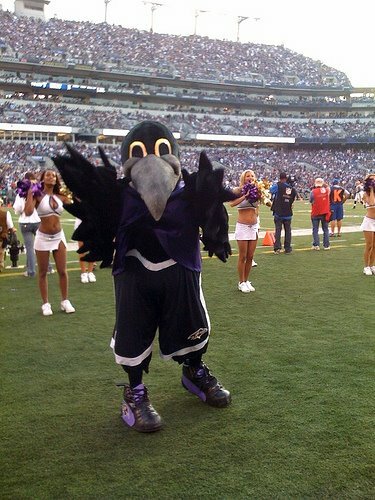 So, does anyone else think that Poe the Raven is compensating for something with that large nose? I do. 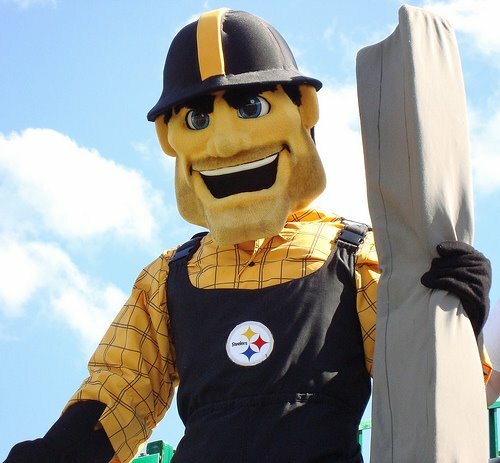 Also, doesn’t Steely Mcbeam look like the union construction worker from the Village People? Now, the choice is between a large beaked bird or a construction worker that may or may not prefer the company of men. You are currently browsing the archives for the Mascots category.